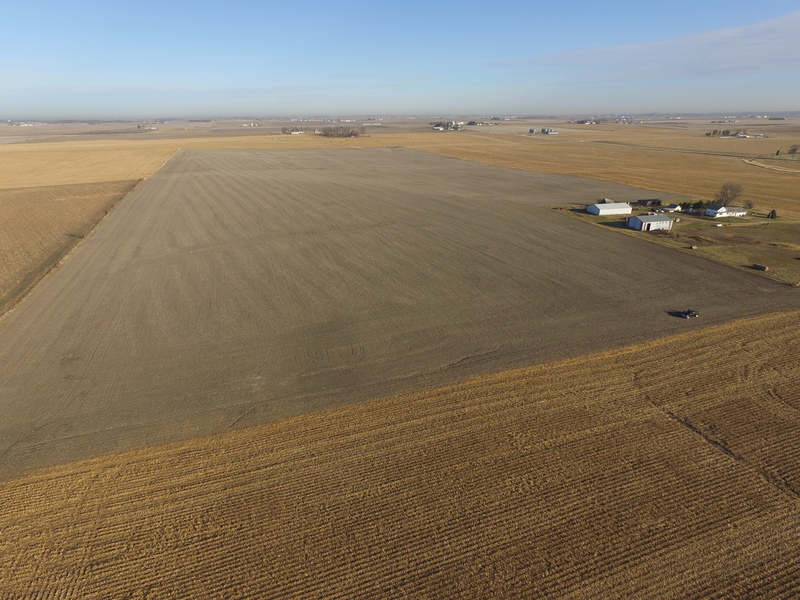 Farm consists of Farm consists of 117.3 crop acres (116.41 tillable acres and .89 tillable acres in the driveway) with a CSR2 of 86.38 (83.2 CSR). Primary soil types include Maxfield, Schley and Kenyon loams. 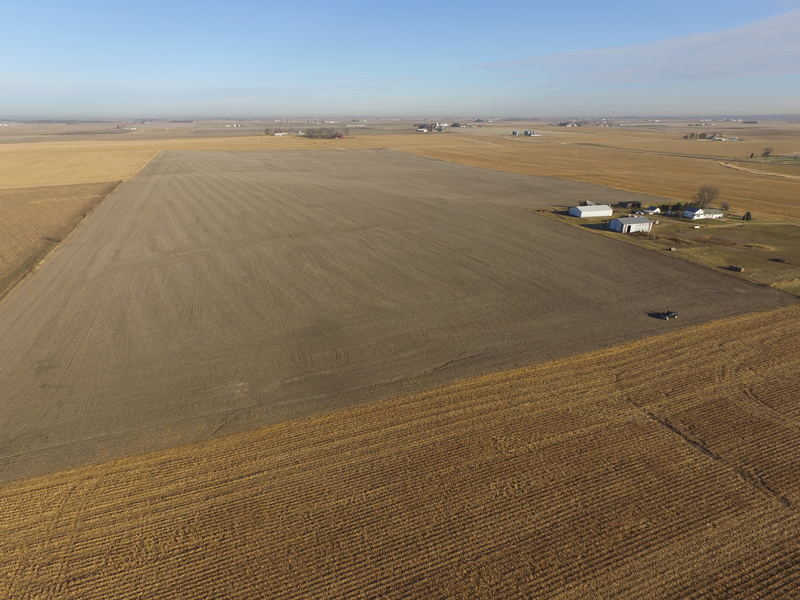 The farm is located approximately 4 miles southeast of Calamus, Iowa, on the north side of 278th Street in Sections 33 and 4 of Olive Township. 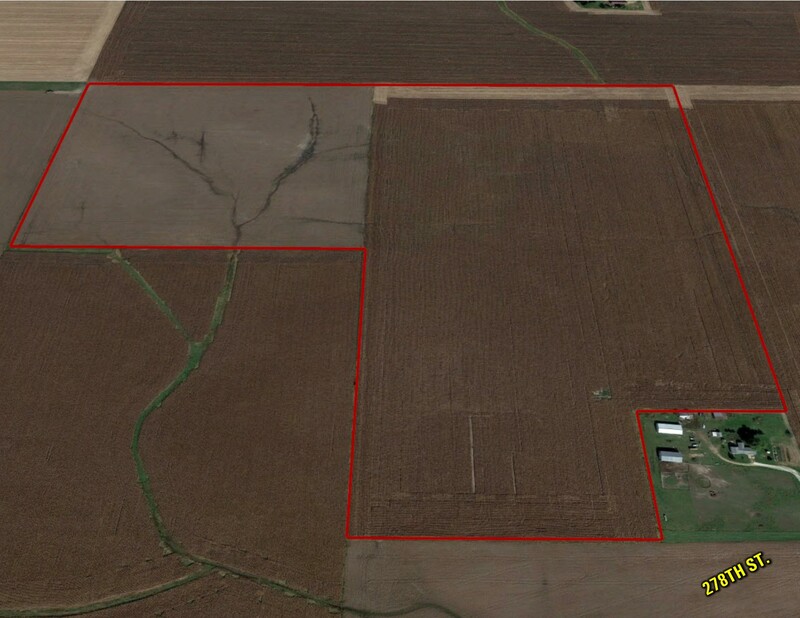 115 acres MOL being Part of the Northwest 1/4 of the Northeast 1/4 in Section 4 and the Southeast 1/4 of the Southwest 1/4 of Section 33 and the Southwest 1/4 of the Southeast 1/4 in Section 33 all located in Township 80 and 81 North Range 2 East of the 5th P.M.
From Calamus, travel east on highway 30 for approximately 1.5 miles. 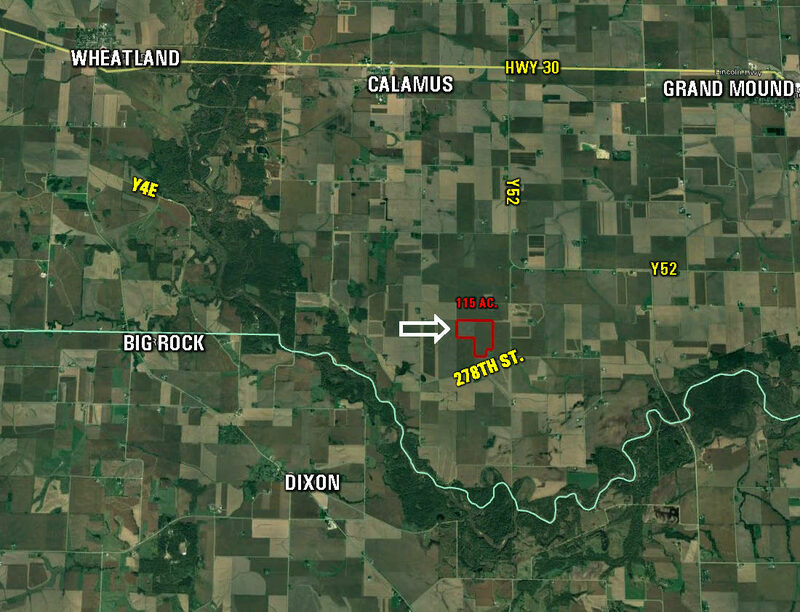 Head south on Y52 for 4 miles, turn west on 278th Street. Farm is located on the north side of the road.